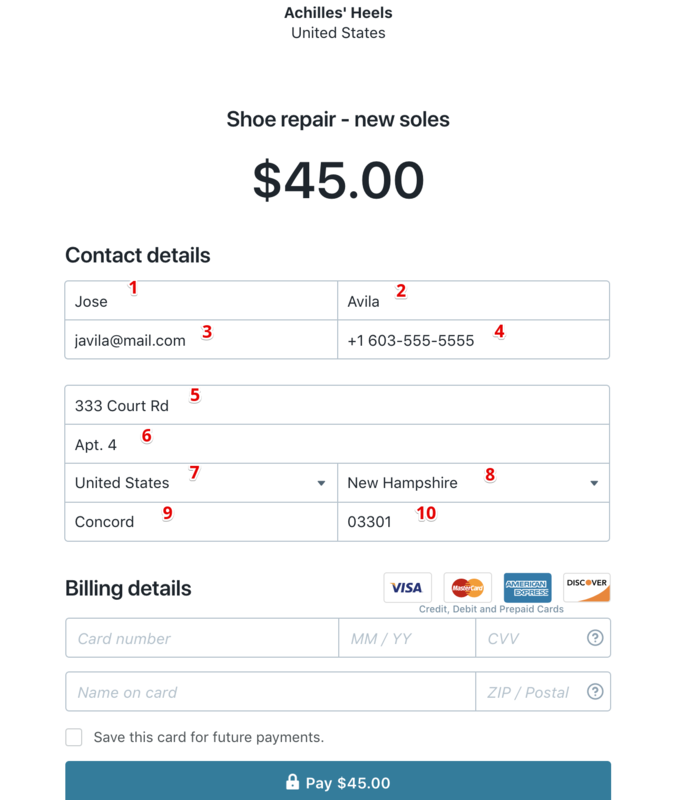 Did you know you can customize the Checkout url you send your customers so that all the essential information is already filled in for them? All they’ll need to enter is their credit card details, saving them valuable time. With a little geekery, which we’ll walk you through below, you can send totally individualized Checkout links, and your customers will love you for it! In this example, we’ll use a Checkout that asks for all of the above. The first step is to add a question mark to the end of the URL. This tells the url to form a query, so that all the information you include after the question mark is put into the correct boxes on the Checkout form. Then, you’ll fill in the form elements in the order they appear. Make sure you enter the name of the box (for first name, “first_name,” etc. ), followed by a "=", and then the information you want to appear. Think of this as a very basic language. Like any language, it can take time to get the hang of. Follow the simple rules below, and remember you can test the url at any point to make sure the form is filling out properly. When entering your customer's country, make sure to use its two digit country code. When entering the state or province, write out the full name. Now you can put it all together! Each element of the form (each “box”) is separated with “&”. Spaces are indicated with “+”. A plus sign (if you need to indicate a +1 in a telephone number, for example) is indicated with “%2b”. Remember, there shouldn’t be any spaces in the URL. If you want a space to appear on the form, use a “+”. If you want a word to be capitalized on the Checkout, make sure to capitalize it in the url.